Calling something “overrated” or “underrated” is always a tricky proposition, because it presumes your understanding of how mass culture perceives a product is accurate, and not a construct you’ve artificially made up in order to shout your Very Important Opinion from the top of Take Mountain. That being said: Ravens Brewing is criminally underrated among the masses. Perhaps it’s because of their no-frills, subdued labelling, or their location in an awkward-to-reach industrial area of Abbotsford, or their best known and oldest options (a dark mild, a pale ale, and a farmer’s ale) aren’t the type of things to get tongues wagging. But the quality of their beer is undeniably consistent, and their fruit releases last year — particularly the Raspberry Hefeweizen and the Kaffir lime and rhubarb sours — might be the best in the Lower Mainland. And they seem to be improving: in the last few months, their Jackdaw Rye Sour, Flying Dutchman IPA and Sunset Wheat Ale have all gotten plaudits. We don’t want to shortchange their flaws. Their distribution is still not exactly expansive, the number of taps available at their tasting room limited, and that tasting room — very dog-friendly and with a charming number of ‘90s VHS tapes to play — is relatively sparse. But good beer can make up for a number of minor flaws, and Ravens is worth searching out. There’s a good chance the next time we write our reviews, we’ll have to update the opening of this piece. After all, you can’t be underrated once the secret is out. What kind of cuisine do you prefer? 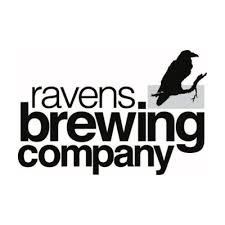 Hello, the award for 2016 Canadian Beer Awards for Ravens Brewing is incorrect. We did not win a Canadian Beer award in 2016. In fact, we have never won a Canadian Beer award. We don’t want to take away from the accomplishments of another deserving brewery. Thanks for having us on your list and if you’re ever in town let me know and I would love to show you around. Cheers.